There's no better way to include style in your holiday decor than with this All is Bright MatMates Doormat displayed at your front door. You can display your mat almost anywhere as it was created to be utilized indoors or outdoors. Pair your mat with our indoor tray for a cushion comfort surface. You can also pair your mat with our outdoor tray for a classier upscale look. This mat was created with a dye sublimation process that gives it a stunning finish and fade and stain resistant colors. This Winter doormat is 18" x 30" when used as a stand-alone mat. 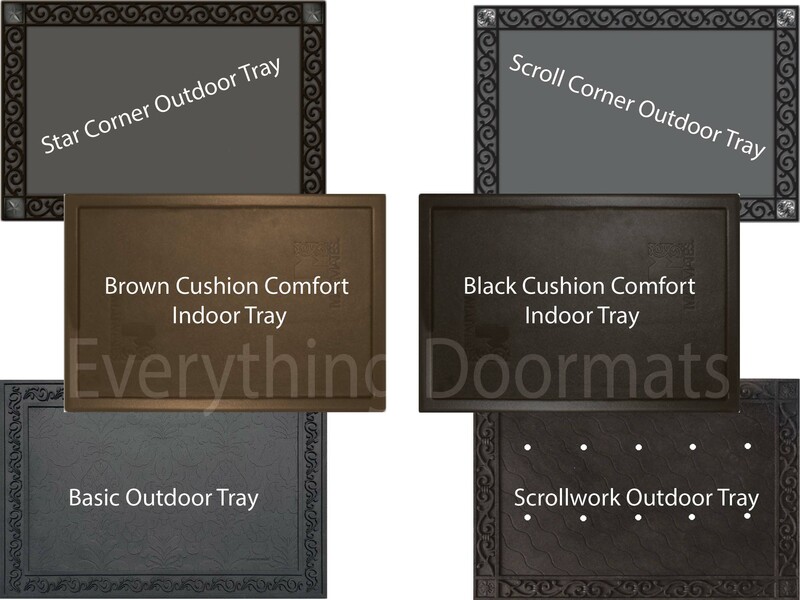 Note: The All is Bright Floor Mat is pictured in our Scroll Corner Outdoor Tray. The outdoor trays and cushion comfort trays are sold separately.